At this point in the agricultural year, harvest will be delivering funds into bank accounts, shortly followed by the winter Basic Payments. Andrew Naylor, UK head of agriculture at Lloyds Bank, said fraudsters were well aware the autumn period was one of the best times to strike. "For some time now, farmers have been heavily targeted by fraudsters using telephone scams, known as vishing, where callers claim to be from their bank," said Mr Naylor. "Vishing scams trick unsuspecting victims into divulging online banking credentials, or coerce them into taking steps which allow the criminal to access their bank account. 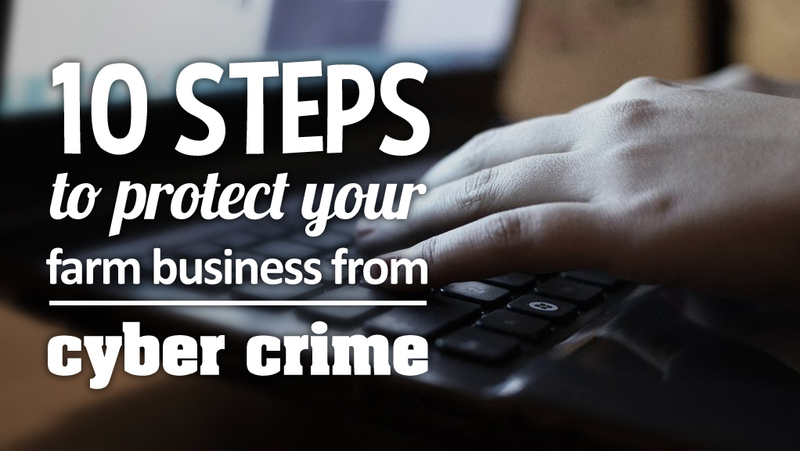 "If the person calling you in a vishing attack knows details of your business, your suppliers, how much you pay them or what your next delivery of supplies will be, it could be easy to think it is a genuine caller." Vishing victims have suffered up to six-figure losses and despite heightened publicity and awareness, this tactic continues to be used. Reports suggest vishing calls in 2017 are three times more frequent than just a year ago. Raising awareness of the risks in the agricultural sector has never been more important. Mr Naylor added: "Cybercrime also continues to be a threat. Malicious software, known as malware, is used to gain access to computers, much like a Trojan horse. "Emails are sent from what appears to be a legitimate source, including an attachment or link containing the malware. Once these are clicked on or opened, fraudsters can then gain access to confidential information and money." Another type of cyber fraud is ransomware. Fraudsters dupe the recipient into clicking on a link in an email or on a website which delivers a virus to your computer, locking down your data so you cannot access it. The criminals then demand you pay a ‘ransom’ if you want access to be reinstated. One final tactic used by fraudsters is sending written correspondence disguised to look like it has been sent by a genuine supplier used by the farm business. The letter or email will ask to amend the supplier’s bank account number to an account under the fraudster’s control. Mr Naylor said: "Farmers need to be aware of these risks and take steps to protect themselves. If not, they could be the next victim."